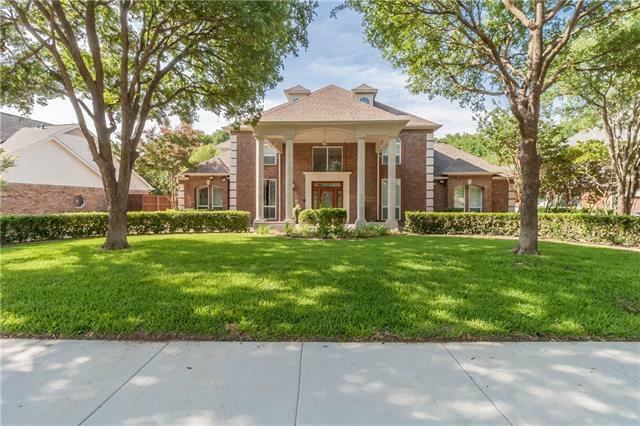 All Coppell homes currently listed for sale in Coppell as of 04/24/2019 are shown below. You can change the search criteria at any time by pressing the 'Change Search' button below. 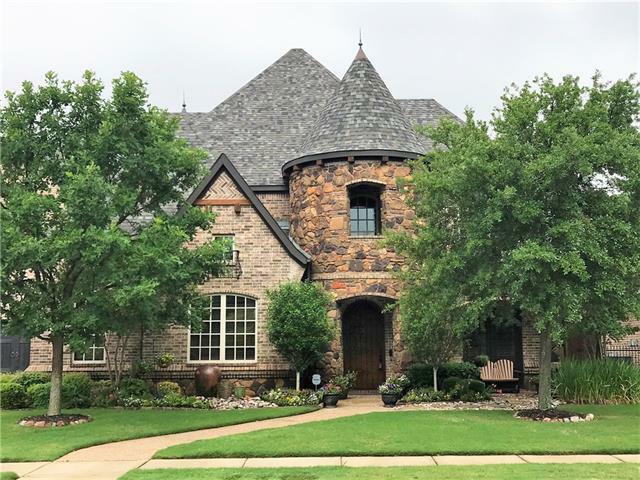 If you have any questions or you would like more information about any Coppell homes for sale or other Coppell real estate, please contact us and one of our knowledgeable Coppell REALTORS® would be pleased to assist you. 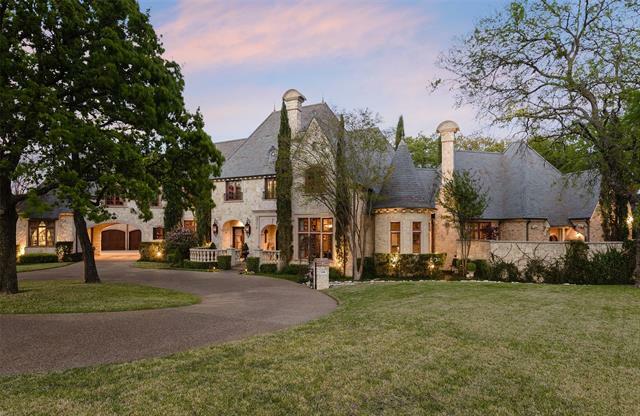 "One of Coppell's finest estates, sitting at the highest point & encompassing over 4.50 acres of breathtaking views & optimal luxury living today's market demands. Featuring 40 ft gym, enormous theater and game rooms, 4 car motor court, extensive sound & security systems, 2 separate hot tubs, Miele built-in coffee bar, 4 fireplaces, wide planked hardwoods, restaurant grade 8 burner gas range,instant hot-recirculating water, x4 2018 water heaters, 4 car motor court. Home is grandfathered in by cit"
"This remarkable estate sited on almost 7 acres is one of a kind. The charm, history, and attention to detail is accented by the materials and vision used to design this one of a kind home, including reclaimed wood from an early-century New Orleans warehouse used for support beams and flooring, custom cabinetry made from Louisiana Bayou Sinker Cypress, reclaimed Old St. Louis Brick, and so much more. The master suite overlooks the wooded acreage and features twin master baths adjoined by a pass-t"
"Beautiful Holmes built property in the most gorgeous setting you will find. 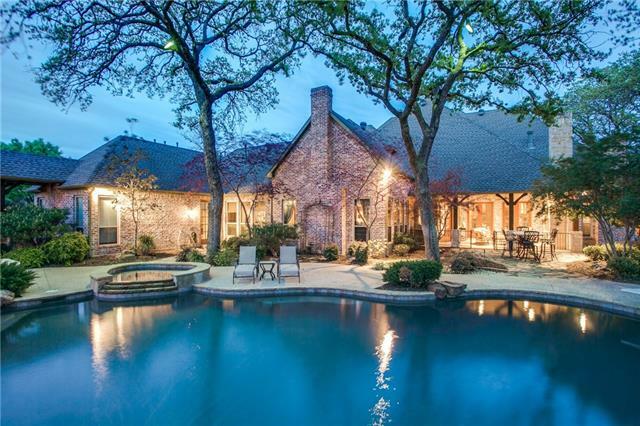 Located on east side of Coppell with easy freeway access to Dallas - Ft.Worth - Las Colinas. Master, secondary bedroom and library with fireplace are located on first level with 4 additional bedrooms and gameroom located on second. Large gourmet kitchen opens to family room with views of creek, pond and trees. There is plenty of room to play with 1.676 acres. a sport court and negative edge pool. Not quoted in sq. ft. "
"This Estate does not disappoint. Stunning Elegance at its finest. High-end finishes and attention to the tiniest detail. This home defines elegance. Grand Entryway to the Outdoor Living Center and Pool, this home is ideal for entertaining! The grand entrance with elaborate moldings, a domed plaster ceiling with led accent lighting marble floors make this a luxurious statement. The Chef's dream kitchen with Taj Mahal Quartzite counters with Mother of Pearl backsplash and Schluter heated floors. T"
"Imagine you just walked into Architectural Digest. 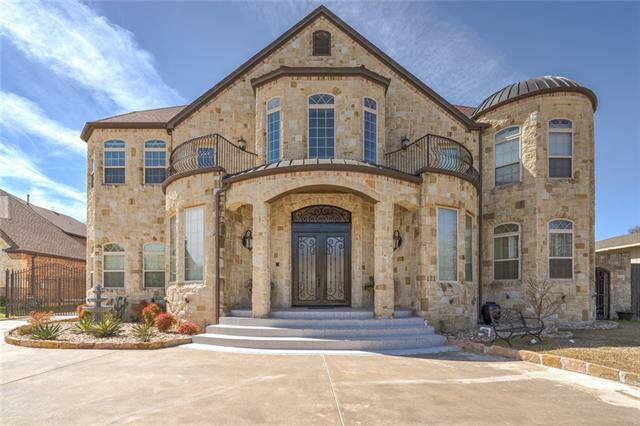 If they say-a man's home is his castle- then this one of a kind home can be yours! 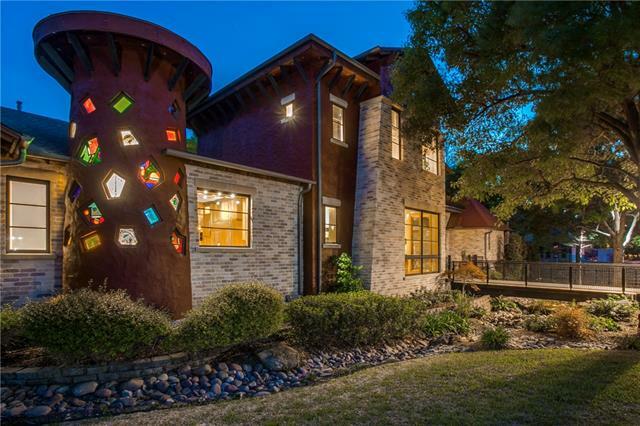 This Modern Industrial 3 story Home has many Custom touches throughout, artist created glass panes,3 story spiral staircase,Menonite built cherrywood cabinetry,Industrial pipe wall,stained concrete floors,custom heated garage,storm shelter. Kitchen is a chefs paradise with all the bells and whistles.Master retreat has fireplace,view to backyard.Spa like bathroom i"
"Situated along a beautiful backdrop of towering oaks and gently-flowing creek, this executive estate is the ultimate in luxury, privacy & tranquility. This home blends the rustic Texas Hill Country with touches of transitional design. 5 bedrooms are down with one up & 6 full baths, including a full cabana bath just off the patio. Among many features included are 2 game rooms, media room, study, library, mud room, oversized utility, loads of storage, & 4 car oversized garage w workbench & Tesla c"
"This property boasts high-end finishes in the perfect marriage of architecture and interior design.A relaxing place to call home,7416 sqft including the guest home in the backyard, situated on .71 acres. Backyard paradise offers sport court,putting green,pool,outdoor grill & fireplace & covered porch.The 527 sqft cabana has its own kitchen ,private bath and living area. The main house is perfect for entertaining, wine room,media room and game room. The spacious kitchen is a gourmet chefs delight"
"One of a kind custom Jim Street home on a heavily treed lot that backs to a private greenbelt on Denton Creek. Peaceful master suite dwnstairs with serene views of the backyard pool, patio and creek. Elegant master bath with designer updates. Chef's kitchen with handscrapped hardwd floors, commercial grade SS gas cooktops, dble ovens, oversized slab granite island, plenty of cabinet space and built-ins. Formal dining with stunning Austin stone wine room and butler's pantry. Family room with Cath"
"Pristine landscaping draws you to this immaculate 5 bedrm, 4.1 bath masterpiece on .54 acre, cul-de-sac lot. Soaring ceilings & wall of windows overlooking the backyard welcome you in. Study just off the foyer. Open concept kitchen features built-in fridge, two Jenn-Air gas ranges, butlers pantry. Family rm with stone fireplace, built-in entertainment center & wet bar. 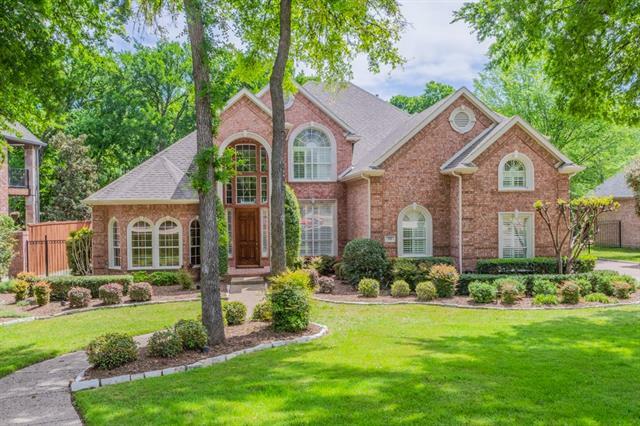 Master suite w backyard views, spa-like bathrm, sitting area & huge walk-in closet. Full guest suite down. Upstairs features gam"
"Immaculate and updated Terry Holmes custom on large treed creek lot. 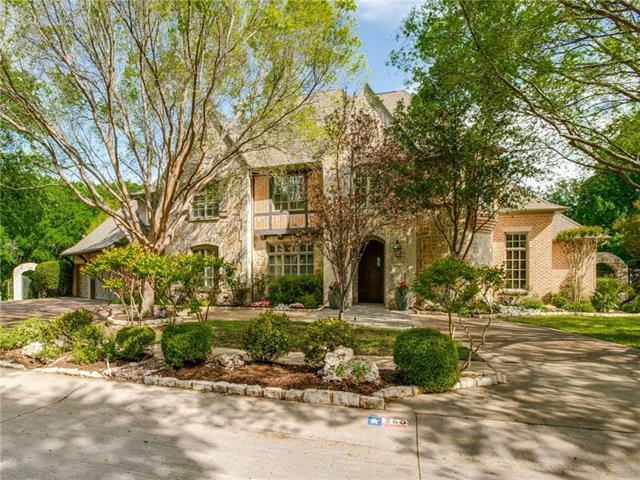 Grand entrance with huge windows overlooking backyard and beautiful wrought iron staircase opens to dining room and large family room with vaulted ceilings, stone fireplace, built-in media center & wet bar. Study with custom built-ins off foyer. Kitchen with built-in sub zero fridge, double ovens, gas cooktop, trash compactor. Master Suite down has incredible backyard views, large spa like bathroom with 2 walk-in closets. 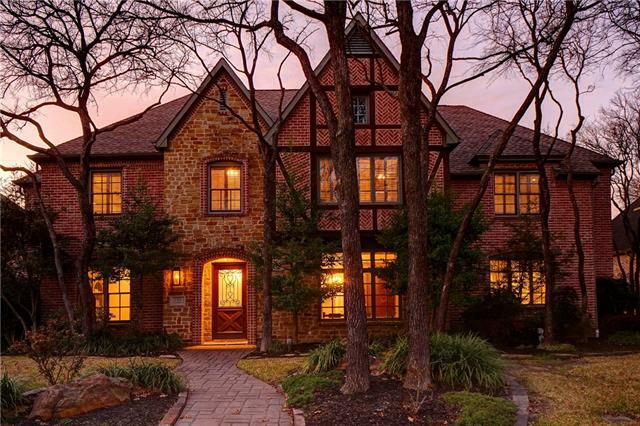 Addit"
"One of the most beautiful homes in Coppell...and that's before the updates. Light and bright; freshly painted, this home exceeds expectations! Must see! Backs to green belt with forest like backdrop. Paradise for your kids to play and explore. 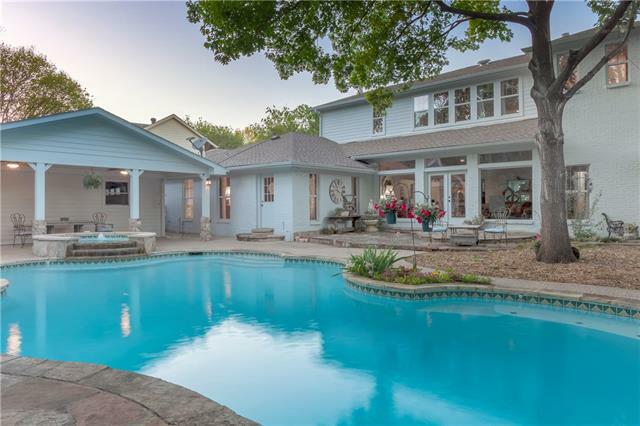 Back yard oasis features private park like setting, outdoor kitchen, covered patio, deck, pool and spa. Wired for outdoor TV in the outdoor kitchen and back patio under the trees. 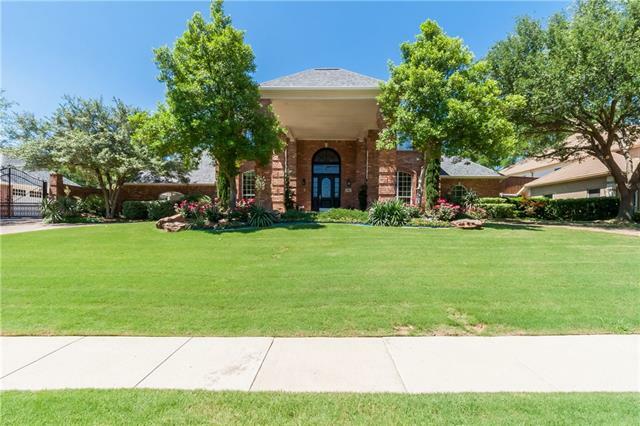 Beautifully finished home features hand scraped oak floors, quartz kitc"
"BEAUTIFUL CUSTOM HOME in Coppell cul-de-sac. NEW MODERN RENOVATION w. POOL + second SPICE KITCHEN added w. commercial WOLF gas range, dbl oven, oversized ss fridge, granite. POOL + outdoor living area w. TV, attached grill + sink+wet bar. All new kitchen w. quartz counters + island, pot-filler. True hardwood floors throughout entire home, marble entry, solid wood doors. Downstairs are master w. fireplace, guest suite and study. Upstairs are 3 Spacious bdrms w. baths & WICs + 2 balconies. 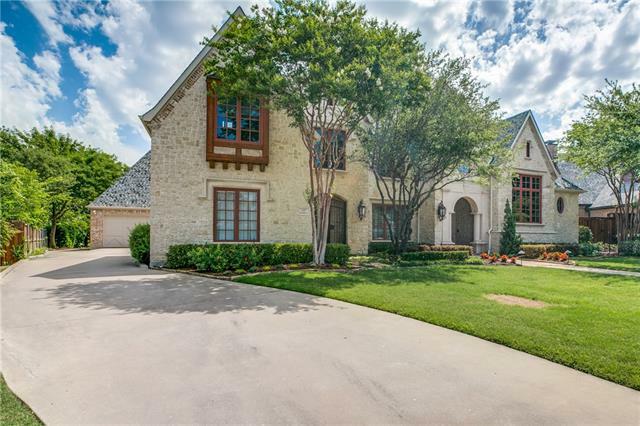 Huge up"
"Exquisite Toll Brothers Custom in prestigious Chateaus of Coppell on large Cul-De-Sac lot walking distance to Neighborhood Park. 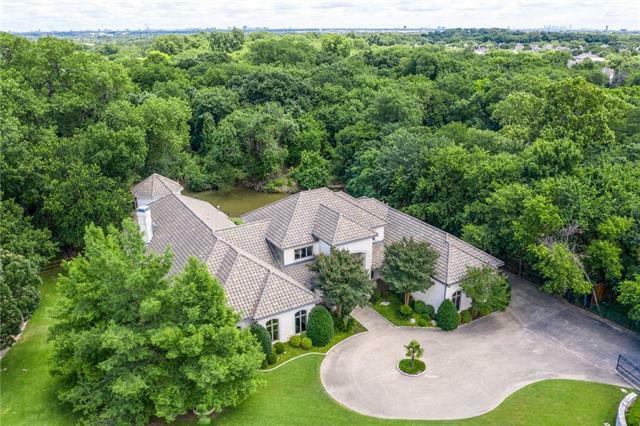 Interior boasts light & bright split bedroom floorplan w marble flooring, soaring ceilings, giant living areas, & walls of windows w views of stunning backyard. Chef s dream kitchen has slab granite countertops, stainless appliances, double ovens, gas cooktop, & walk-in pantry. 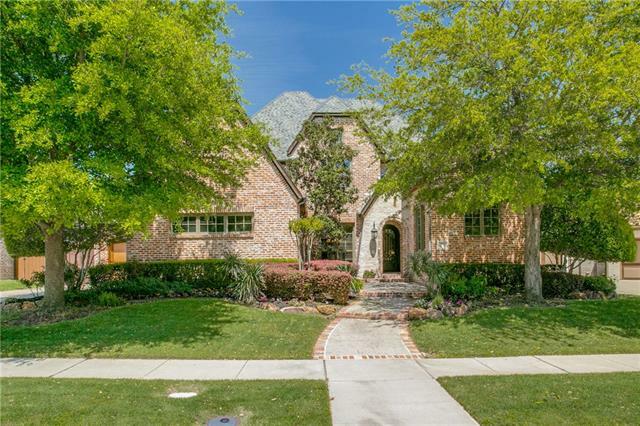 Master retreat down has large frame-less shower w dual shower heads, jetted tub, separate "
"Immaculate Custom Home in highly desirable Northlake Woodlands. Interior boasts light & bright superior floorplan w master & guest bedroom down, rich hardwoods, & plantation shutters, study w beamed ceiling. Chef s dream kitchen has slab granite countertops, built-in oversized SubZero refrigerator, stainless appliances, gas cooktop, double ovens w warming drawer, island w prep sink, & tons of storage. Master retreat w sitting area has separate shower, soaking tub, separate vanities, & walk-in "
"STUNNING Terry Holmes Custom home with fresh interior paint & beautiful details throughout. Home features open concept gourmet kitchen, dining, family room. Chefs kitchen with granite counters, GE Monogram SS appliances, 5 burner gas cook top, built in refrigerator & 2 massive islands. HS hardwood floors, 6in baseboards & 4in plantation shutters. Master BR & BA include a soaking tub, walk-in shower & custom closet system. BRs upstairs are connected by a JnJ bath. Media room complete with 90 s"
"Beautifully appointed Jim Street custom with exceptional design finishes in the coveted Coppell ISD! This elegant home's foyer makes a wonderful first impression with soaring ceilings & Travertine flooring with wood inlays. The chef's kitchen features an over sized island & high end SS appliances which opens to an inviting family room. Other downstairs amenities include a guest bedroom, a lovely formal dining room, a handsome study with vaulted box beamed ceilings & a private master suite. Upsta"
"Stunning spec home in the exclusive Red Hawk community. Highest quality garden home by renowned Holmes Builders. State of the art design & appliances. The Holmes Builders has refined a process and searched the globe for unique materials to bring you a truly custom home building experience. 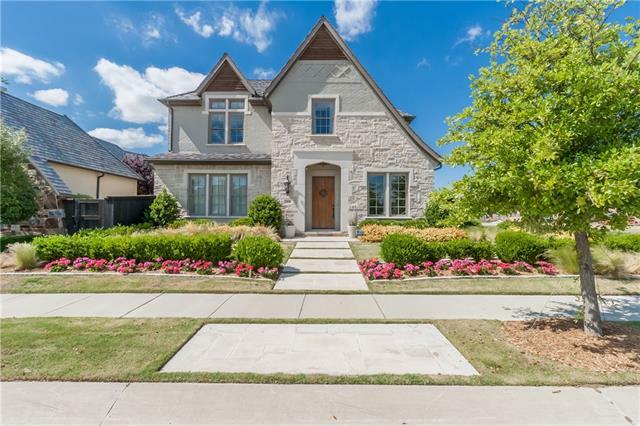 Exceptional customer service, attention to detail and masterpiece custom homes The City of Coppell is known for its small town feel in the middle of the big city. An oasis of farmers markets, shopping, dini"
"Former Model Home in prestigious Red Hawk Estates. Luxury low maintenance zero lot with supreme patio living complete with fountains & artificial turf. Inside boasts quality French farmhouse architecture. High end commercial cooktop, builtin refrigerator,stainless appliances & walkin pantry. Impressive wine nook complete with wine frig & easy access for entertaining. Spacious family room with beamed ceiling. Private master retreat with elegant bath. Free standing tub, shower with multiple head"
"Imagine yourself on the back porch, by the pool, enjoying the privacy of acres on a creek just minutes from employers, shopping and DFW airport. Close to the action yet worlds apart! You ll be thrilled with the space and floor plan of this classic charmer. The cozy living room doubles as a library with ample shelving space, while the second living space is more secluded, yet completely open to the kitchen and breakfast area. The 2nd Master and 2 other bedrooms are downstairs, away f"
"Remodeled Kitchen & Master Bath! 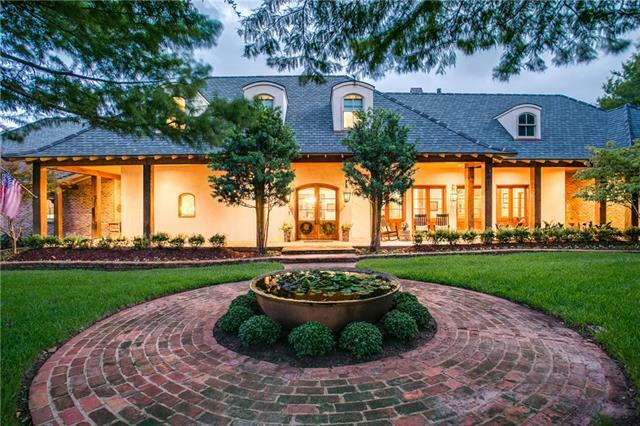 Prestigious drive up appeal on beautiful creek lot estate. Impressive 2 car porte cochere. Amenities include: Rich custom hardwoods w inlay design. Plantations shutters. Slab granite, Abundant storage. Laundry chute. Kitchen boasts slab granite, stainless appl, gas cooktop. Spacious den open to breakfast area. Game room down has kitchenette w wine & regular refrigerators, slab granite. Split bedrooms. Exlg. 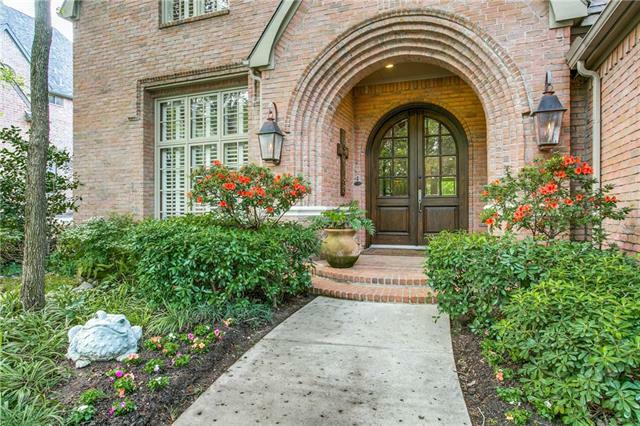 master has a sitting room that leads to huge balcony ove"
"Charming curb appeal and amazing Coppell ISD location. Complete remodel and addition completed in 2002. Beautiful hand scraped floors as you enter. Dining and living rooms just off the foyer. Large living area with gorgeous stone gas log fireplace. Massive kitchen with commercial grade gas range, trash compactor, granite counters, wet bar with additional sink and spacious breakfast area. Downstairs master bedroom features walk-in shower, jetted tub, walk-in closet. Two guest bedrooms and 2 full "
"This home is absolutely breathtaking! Secluded on a wooded lot, and backs up to Cottonwood Branch Creek. Located in an established neighborhood, close to shopping, dining, award-winning schools, and has easy access to highways. The interior is accentuated by large windows, decorative lights, and ceiling fans throughout the home. The kitchen opens up to the living room, so there is plenty of space for entertaining. Master Suite has that wow factor. Spare bedrooms are spacious and versatile. You"
"Priced $31K Below Tax Appraised Value! Luxurious Jim Street Custom 5875 sq.ft. 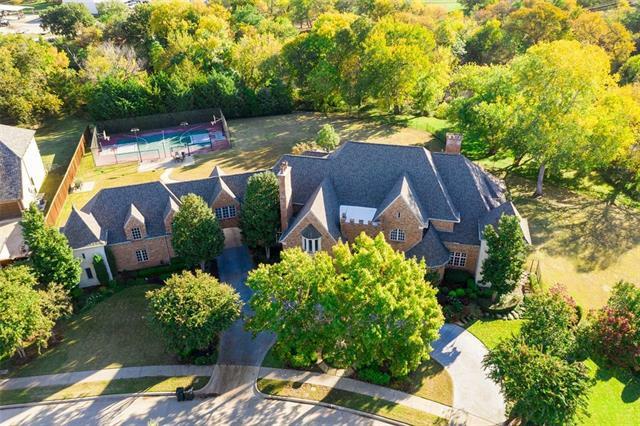 Estate sits on 0.39 Acre in Coppell ISD. Remodel move in ready. Open Floor Plan Perfect for Multi Generation Live-In & Entertain. Downstairs MBR, Office, Mother-In-Law with Full Bath & Walk-in Closet. Very Large Granite White Kitchen, Island, Breakfast Bar, Gas Cooktop, SS Appliances. Walls of Windows overlooking Beautiful Pool. All BR's Over Sized with Walk-in-Closet, Built-Ins, Tray Ceilings. 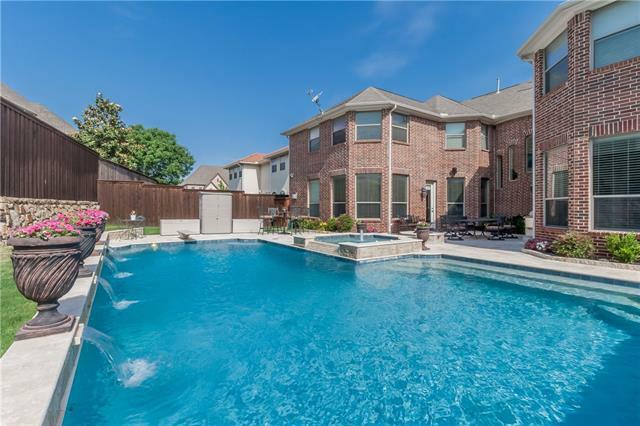 Upstairs has 3 BR, 2 Ba"
"Stunning and Extensively Updated, This Coppell Executive Gem is Located in The Springs; One of Coppell s Most Prestigious Neighborhoods. 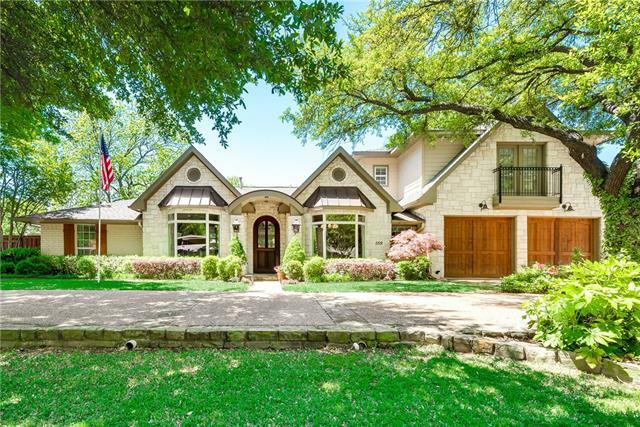 You Will Absolutely Love the Curb Appeal of this East Facing Beauty. 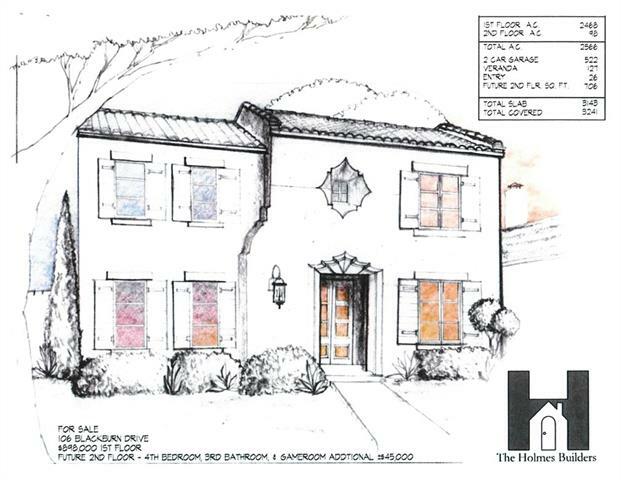 The Home Features 5 Bedrooms, 4 Baths, an Elegant Study with French Doors, 1st Floor Guest Suite with Full Bath, 3 Living Areas, 2 Fireplaces, Sliding Electric Gate, Designer Drapes, Remote Control Shade System, Granite & Silestone Counters, Light, Bright Paint Colors, Natural Light Every"